I just love fall! I have been enjoying decorating the house. 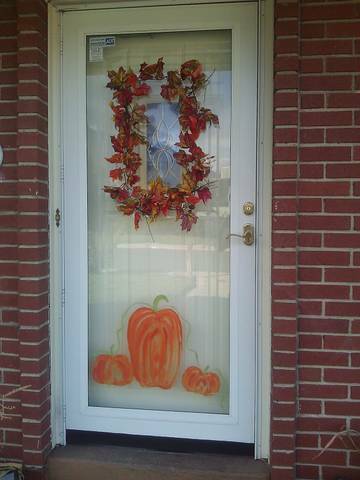 I painted pumpkins on the front door with tole paint. I have also been painting the "down down stairs." Pics to come soon.